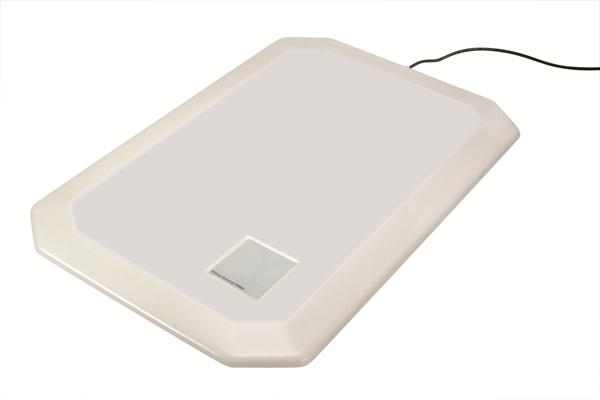 Shielded HF antenna limits radiation area reducing unwanted reading of tags. Available with or without integrated reader and options for RS232, USB or Ethernet connectivity. 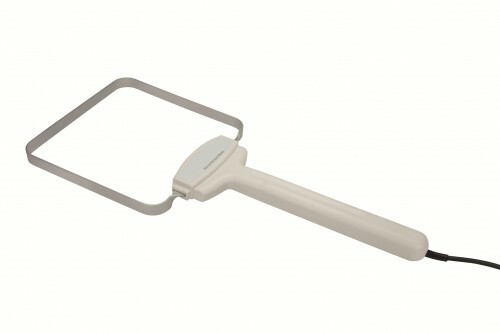 Mid-range HF Pad antenna, 340mm x 240mm, is designed for Mid-range Readers. 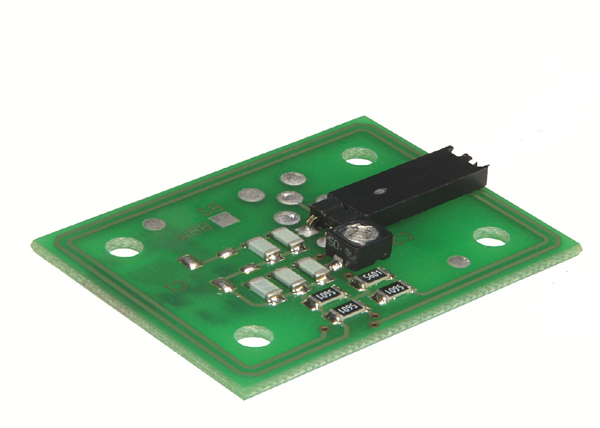 Available in desktop model and PCB module and has a read range up to 30 cm. High performance HF antenna designed for Mid-Range or Log-Range Readers. 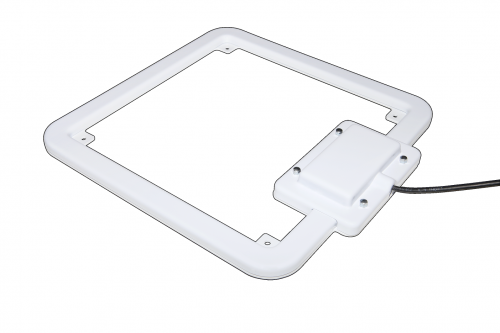 This 310mm x 310mm loop antenna provides read ranges of up to 60cm depending on input power. Handheld HF 200mm x 200mm loop antenna intended for use with Mid-Range Readers. 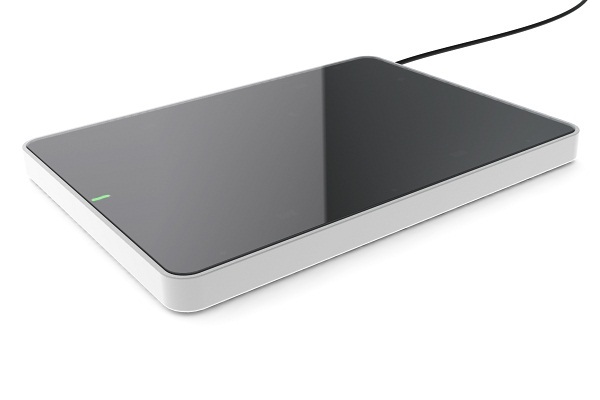 Reader connection is via an attached 3.6 meter cable enabling read range up to 40 cm. Industrial HF antenna designed for Mid-Range or Long-Range Readers. 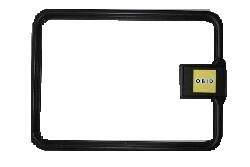 This 300 mm x 300 mm loop antenna provides read ranges of up to 50 cm. Long-Range HF antennas designed for high power readers. These 600 mm x 800 mm loop antennas provide read ranges of up to 80 cm in single or 120 cm in gate configurations. 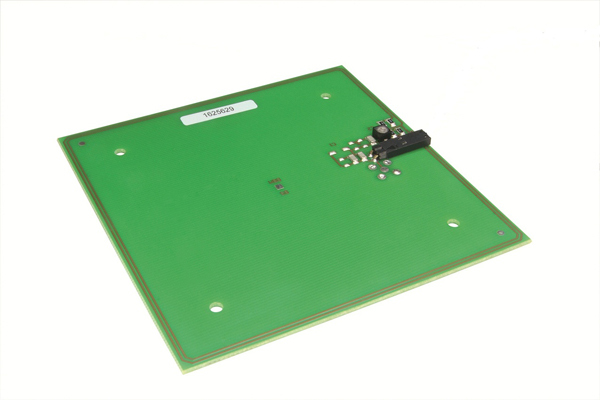 HF antenna PCB modules are available in 40mm x 30mm and 100mm x 100mm sizes. Designed for proximity reader family and embedded applications. 8-channel HF Antenna Multiplexer enables a single reader to drive several antennas. Expansion beyond 8 antennas is possible through cascading multiplexers.